Passenger train services operate on about 210 days in a year. In addition to this, we run a number of private charter trains, driver experience days, events, and special trains, whilst engineering trains and other stock moves are a regular feature of the Bodmin & Wenford Railway. The first person you will probably meet during your visit is the Booking Clerk, who is primarily responsible for selling tickets. There will also be staff running both the Old Booking Hall Café and the gift shop, together with general platform staff (particularly on busy days) and always a friendly face! The day-to-day running is under the control of a Responsible Officer. On the train will be a Guard whose job it is to see that the train is operated safely, together with a Travelling Ticket Inspector (TTI) – whose job it is to check and sell tickets, and help passengers find seats when required – and a further member of staff running the on-train buffet car. 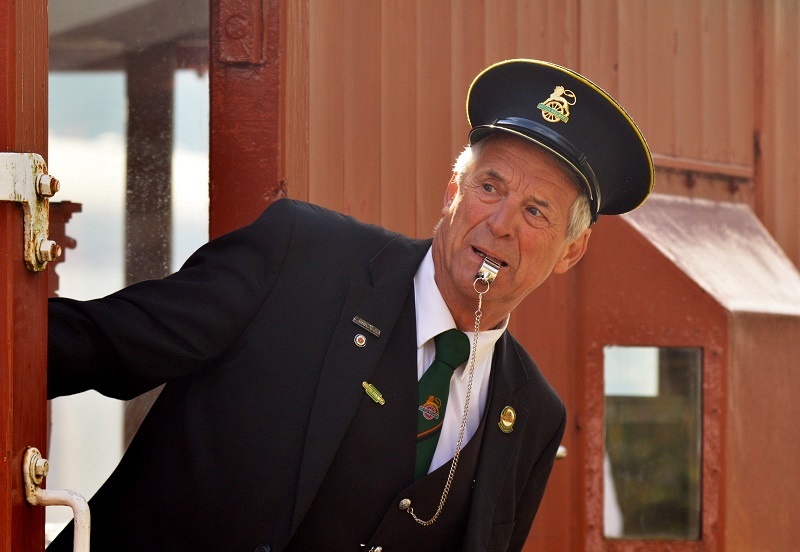 A Signalman will be on duty in the signalbox at Bodmin General, where wire and rods connect the signals, points and point locks to a central lever frame allowing control of all train movements. 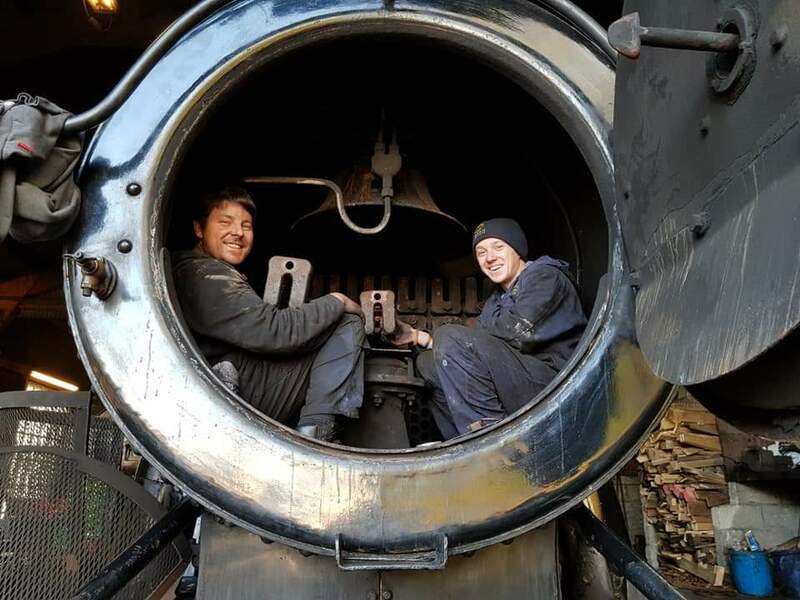 You may also catch a glimpse of many other members of staff who largely work ‘behind the scenes’ – such as those involved with administration, locomotive repair and maintenance, and trackwork. But EVERYONE is an important part of the team. The majority of our operating staff are volunteers. Everyone over the age of 16 is welcome to join as a volunteer – no matter what your skills and interests, why not become a part of our friendly team? Find out more about volunteering with the BWR here. We take our responsibilities for training staff very seriously, particularly ‘Safety Critical’ staff, and you may also find during the course of your visit other members of staff being trained in a particular role, who accompany the qualified member of staff during the day as part of their training. We operate to practices and procedures approved by the Railway Inspectorate and all of our ‘Safety Critical’ staff (e.g. Driver, Fireman/Secondman, Guard, Signalman) have undertaken training and all are monitored to ensure that standards are maintained.